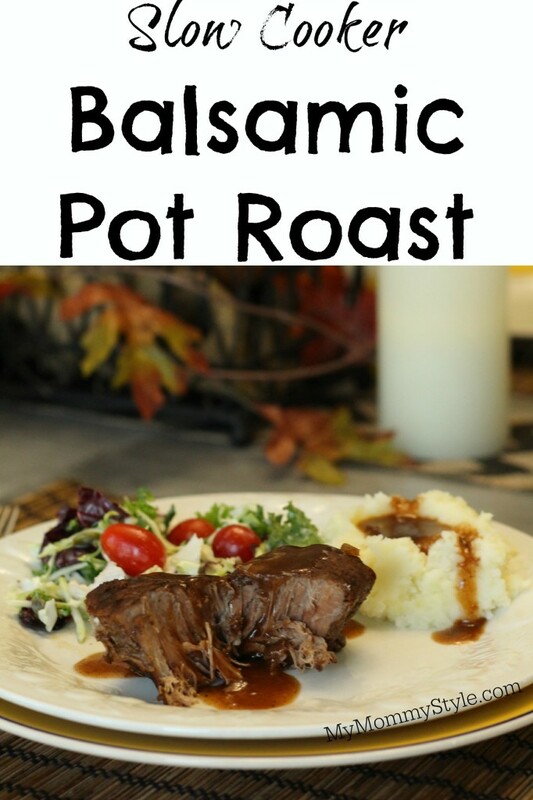 Slow Cooker Balsamic Pot Roast + Six Sisters’ Stuff Christmas Book Giveaway! This balsamic pot roast recipe is from the Six Sisters’ Stuff new Christmas cook book and it is divine! I loved the tangy taste the balsamic vinegar brought into the roast, it was such a happy meal to eat after a long, cold day. Best news, this book is half off today for only $10 through Amazon! Make sure to use the code (HOLIDAY30) to get 30% off. If you want to try winning a copy we are giving one away today as well! I went to college with Camille who founded Six Sisters’ Stuff and there really couldn’t be a nicer person on the planet, if you haven’t picked up their cookbooks yet, you MUST! All the recipes are completely do-able and that is HUGE for me as I am no gourmet chef! 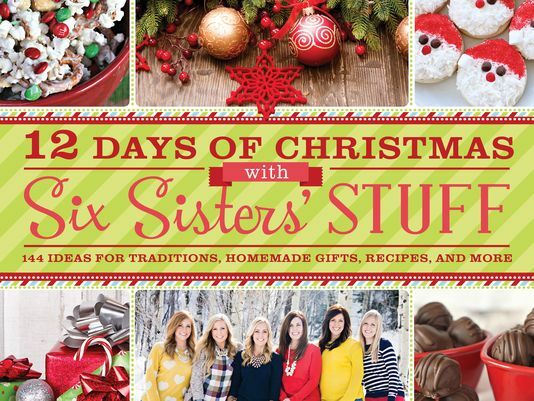 The best thing about this book is that is covers “12 days of Christmas” filled with tradition ideas, recipes, crafts, and more. One of my favorite traditions that was shared was hanging a stocking for Jesus that you hang on the mantel with all the other stockings and throughout the month look for opportunities to serve each other. Through the month you write on a piece of paper that gift you gave to Jesus. On Christmas day when all of the presents have been opened you take time to go through the papers in Jesus’ stocking and think about all of the wonderful things that happened through the month. I would add to this by saying it would be neat to add one last piece of paper before the stocking is tucked away for the year picking one thing to work on through the year so that the next year you could reflect on that goal and see how you did. Heat Olive Oil in a large skillet over medium high heat. Season roast with salt and pepper to taste and place in skillet and sear on all sides. Remove from skillet and place in a slow cooker coates with non stick cooking spray. Cover roast with carrots, celery, and onions. In a small bowl, mix together balsamic vinegar, tomato juice, beef broth, garlic, thyme, and sage. Pour over roast. Place 2 bay leaves on top and voer with lid. Cook on low for at least 9-10 hours. When done cooking, remove roast and vegetables and keep warm. Skim the fat off the liquid and pour liquid into a saucepan. In a small bowl, mix together the corn starch and cold water; pour into the saucepan and mix well. Place saucepan on stove top and heat over medium-high heat until it starts to boil. Let cook for about 2 minutes, or until it starts to thicken. Serve gravy with pot roast and vegetables. Linked up with Buns in My Oven, Posed Perfection, Saving 4 Six, The Pin Junkie, Katherine’s Corner and Tidy Mom.